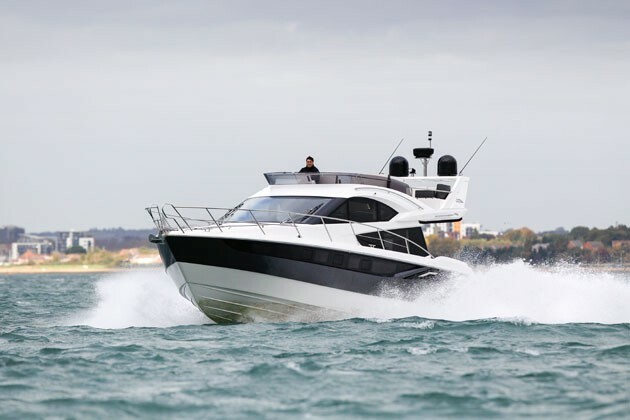 You are here:Home » Category: "Boat test"
Motorboat & Yachting: The Galeon 420 Fly offers a huge amount of customisation – including the choice between shafts, sterndrives and IPS pods – solid build quality and a keen price, we put it to the test in Southampton. 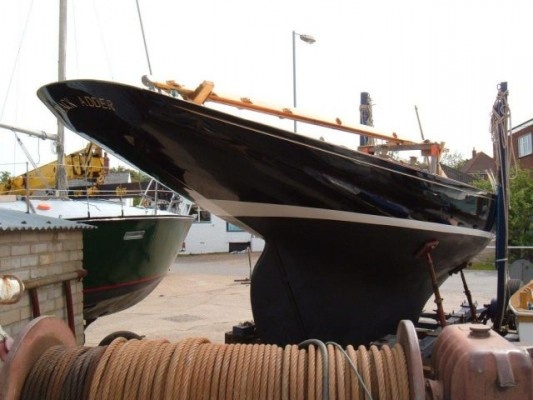 Pratical Boat Owner: British Coatings Federation (BCF) Marine Coatings Group has followed up on its successful survey for boat owners on the DIY use of antifouling (AF) paints by launching three additional surveys on the topic, aimed at professional applicators, boatyard managers/owners and chandlers. Gareth Prowse, who is the UK Regulatory Affairs Manager at AkzoNobel Felling, with responsibility for the International Paint branded marine coatings, and also Chair of BCF’s Marine Coatings Group said: ‘The BCF are trying to generate data to better understand how people use AF Paints and what protective equipment they do use when painting. We’ve had some minor criticisms of scaremongering in response to the first survey, when in reality we’re not. 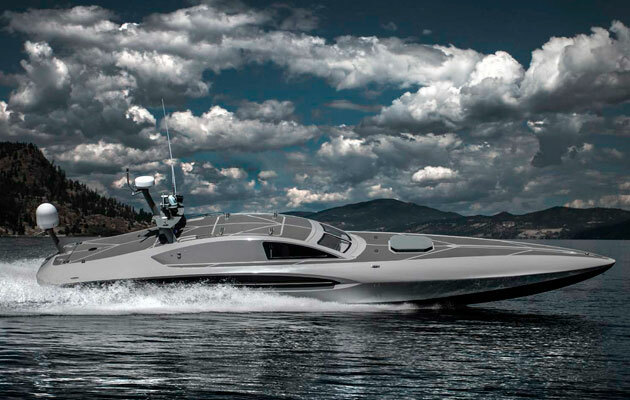 Motorboat & Yachting: High-speed powerboat specialist Vector has unveiled its latest model, the V40S, which is capable of more than 100mph even when driven remotely. 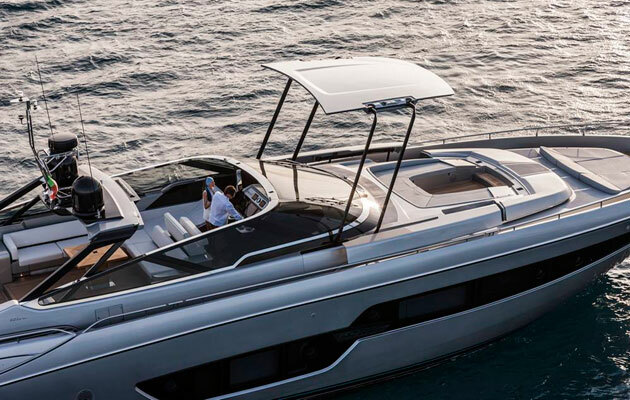 Motorboat & Yachting: Ferretti Group has announced that the new Riva 88 Florida will get a unique convertible sunroof system. Dave Marsh: It’s not often that a boat from one of the big four European boatbuilders takes us by surprise. But that’s exactly what happened late in July, during an Motorboat & Yachting test of the new Azimut 50. Out on the water, I’d been expecting the 50’s obvious bulk to produce a boat with less than appealing handling, the aquatic equivalent of an SUV or MPV rather than a finely honed saloon car. Well, the 50 immediately put paid to my preconception, and dished up as fine an all round ride as I’ve experienced on a mid-size cruising boat.Key to its appeal is the 50’s terrific steering which is (in my subjective opinion) as perfectly weighted as you could wish for on a flybridge cruiser. The boat turns surprisingly quickly and very precisely, heeling just the right amount into the turn. Yet it never feels flighty or lacking in feedback.It was also noticeable that, as we repeatedly crossed and re-crossed the wake of our 57ft photo boat, the 50 never once performed that little shimmy that boats with less resolute handling often do. As for speed, the 670hp Volvo D11 diesels produced satisfyingly punchy performance all the way up to our recorded top speed of 32.2 knots.Misconception number two was that the interior would be the principal beneficiary of the 50’s obvious volume. Azimut will doubtless point to the full standing headroom that the 50 provides almost all the way around the perimeter of the bed in the owner’s midships cabin.Beyond that benefit, though, I could not detect anything outstanding, and potential owners who plan on cooking on board will have to think very carefully about the limitations of the galley. Contrary to the prevailing trend, it’s down below, not up in the saloon. And it has few storage areas and extremely limited countertop space.